We realize mountings on measure on stuffed blue wildebeest. Also called wildebeests, belonging to the species of cattle, it is a herbivore mammal of the order Artiodactyla. 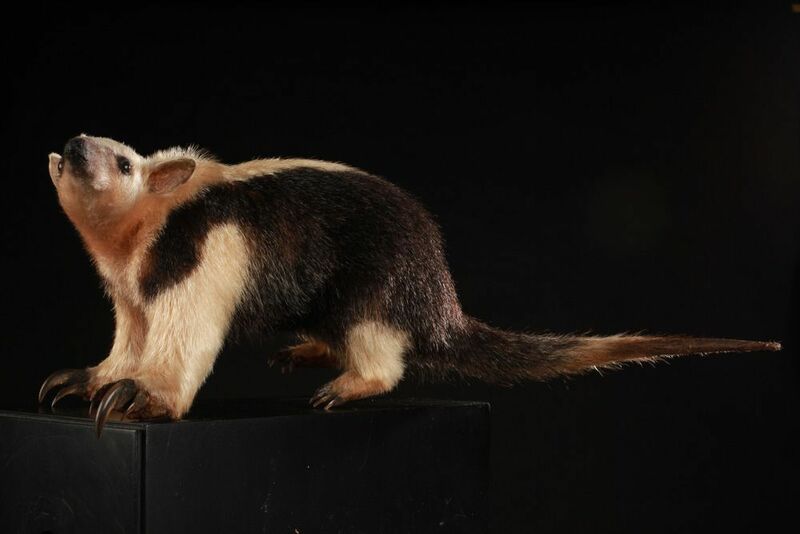 These are hoofed mammals. This is an antelope, whose dress is brown or gray slate with shades of blue, the top and flanks are slightly lighter. their head is blackish and shoulders have dark lines. They can measure up to 1.47 at the withers, wildebeest neck is short and thick, with a large head and flat muzzle, they have under the chin, a beard formed by long black hairs. Their legs are rather high and average robustness, their body is massive. 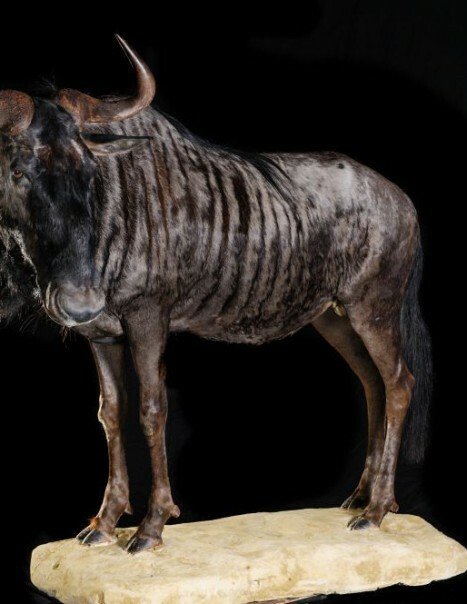 It’s a powerful animal accustomed to races, wildebeest can run up to 65 km / h.It has a mane. Males can weigh up to 280 kg and females up to 180 kg. Their lifespan is 18 to 20 years. What differentiates blue wildebeest black wildebeest is their tail for blue wildebeest is black and is similar to that of horses. But there are also their horns which are curved shaped brackets. Wildebeests are particularly noisy, their cry is characterized either by a short and explosive snoring or by a plaintive growl. 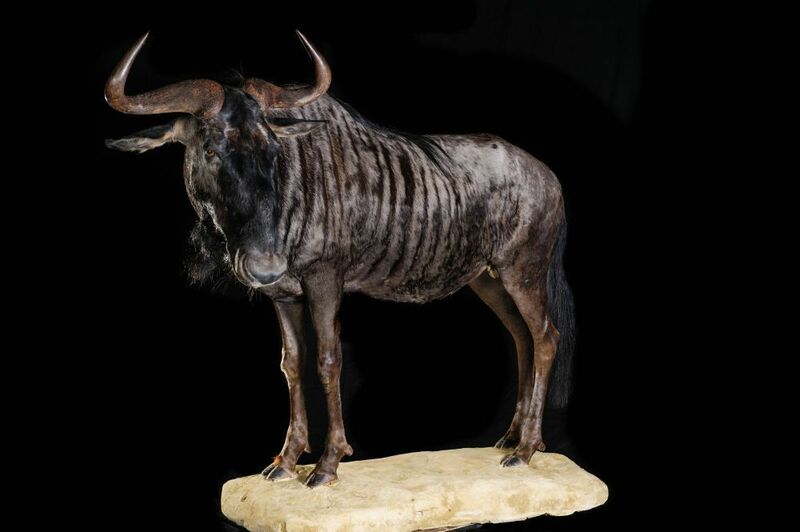 Like the black wildebeest, the second species is not endangered, and are quite common in central and southeastern Africa. 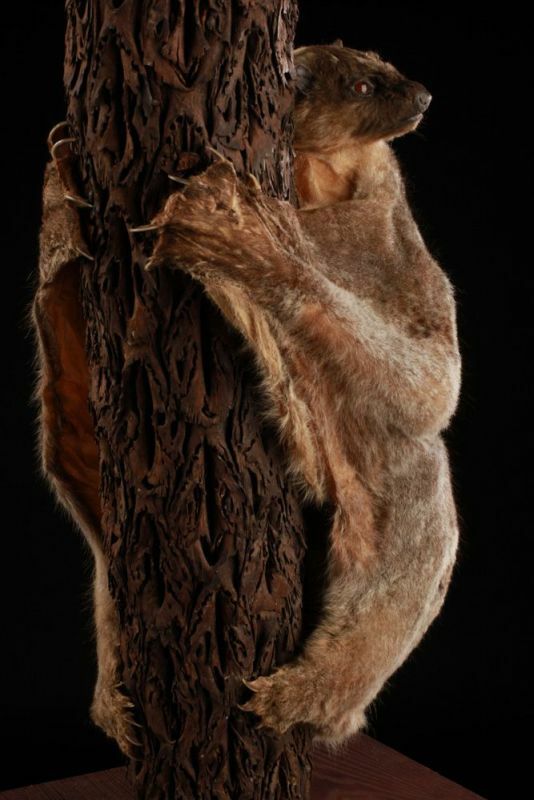 It is found in Eastern and Southern Africa, in countries such as Malawi, Botswana or Tanzania. Basically in pastures where savannas are common. They move in the rainy seasons in search of green pasture. The animal feeds mainly on herbs and grasses, in semi-desert regions they also eat tender foliage. They feed mainly on the andropogon, this is a”gnu grass.” They can spend 5 days without the need to drink. The males are fighting to dominate the group and fertilize females. A dominant male can impregnate dozens of females. The mating season begins on the first full moon following the rainy season, so it is going to be in March or April. Births take place in January or February. The mating period extends for approximately 4 weeks, and gestation lasts about 250 days. Sexual maturity is reached between 15 and 18 months.